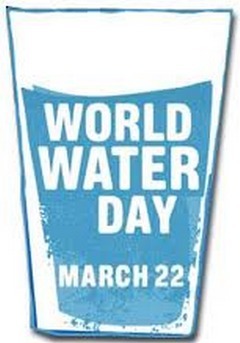 I heard about World Water Day for the first time yesterday. I realize that I learned about it too late to participate for 2012 - it is the 22nd of March every year - but I can still educate myself on the cause and share the information. As an aquatics professional, water is a resource that is undoubtedly near and dear to you. While we not only enjoy its freshness straight from the tap, our livelihoods depend on having enough of this "blue gold" to fill swimming pools as well. Around the world, countless numbers of people not only don't have access to clean drinking water, but are also suffering from food shortages due to drought. The statistics are more than depressing. Reading about severe international drought makes me reconsider the implications of the drought conditions that North America is experiencing in certain locations. Water is precious. That is a fact that just becomes more and more clear. The SRP - a major utilities provider in Phoenix, Arizona - has research that shows an outdoor swimming pool will lose its entire volume in water to evaporation each year. Of course, this statistic will depend on location, but you know that a lot of pool water is unnecessarily lost to evaporation. If you have a pool that holds 30,000 gallons of water, saving even half that volume could provide drinking water for 82 people for an entire year. Multiply that by the number of pools in the US...well, I'm sure you can understand the implications. If you are interested in saving between 30 - 50% of the evaporation your pool normally experiences - YES! even indoor pools! - I wish you would try Heatsavr, the liquid pool cover. It is incredibly easy to use, and very cost efficient. In fact, in addition to saving all that water, you can also reduce your heat loss and energy bills. It really is a win - win - win solution. To get started, email me with your city and state and the size of your swimming pool. I can help you understand the benefits specific to your center, and get you in touch with a local supplier. There is no time like the present. Start saving water now.